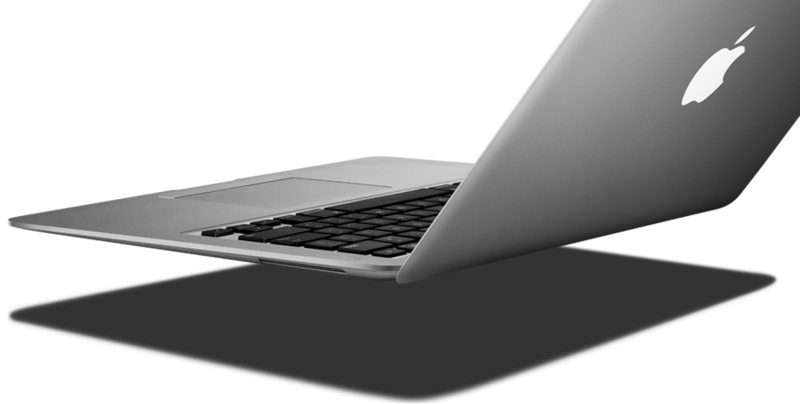 What Can I Say: Apple MacBook Air First Impressions. | The Small Wave. What Can I Say: Apple MacBook Air First Impressions. What an amazing device this is. The above says a lot about the compromises Apple was willing to make (and what it wasn’t). I had mentioned that anything less than a 12 inch screen would be a disappointment in this day and age, and apparently they agreed. They also went with a full-size keyboard (frankly, not hard to do when using that size of screen). I still wish it had more “juice”, but the 1.6 C2D is as good or better than other tiny laptops, and there’s an option for 1.8. Price of $1,799 is pretty good for what you get. Smack dab in the middle of the MacBooks and the MacBook Pros. External optical drive option at $99 is a good price, too. With Intel having to custom make the chip so small, however, and the “Mac on a board” so specialized, I have to wonder if they can ever really get the cost of these things down. Is it another G4 Cube in the making? Depends on sales, of course. I like it. I’ve downloaded the guided tour and will be reviewing specs and other news on this and all of Apple’s announcements today. There will be more posting later. This entry was posted in General and tagged Apple, Hardware, laptop, MacBook Air, sub notebook by Tom Reestman. Bookmark the permalink.